The City Secretary is an officer of the City, appointed by the Mayor and City Council. The position of City Secretary is a statutory position required by State law and the City Charter. In addition to the statutory duties of the position, the City Secretary serves to enhance public participation in municipal government and safeguard the democratic government process through transparent open government and open records. The City Secretary serves as the Chief Election Official for the City of Mathis and is responsible for the administration of all city elections. The City Secretary prepares submissions to the U.S. Department of Justice for pre-clearance of election issues under the Federal Voting Rights Act. The City Secretary’s Office provides information and assistance to local residents on voter registration, candidate filings, election notices, and polling locations. The City Secretary’s Office coordinates the board, commission and committee appointment process for the City Council. This office accepts applications and maintains an updated listing of all vacant positions. The City Secretary’s Office posts agendas for any upcoming board, commission or committee meeting as required by the Texas Open Meetings Act. The City Secretary’s Office is responsible for the preparation and distribution of the City Council meeting agendas and the agenda packets. The City Secretary must attend every City Council meeting, keep accurate minutes and maintain a permanent record of the proceedings. The City Secretary’s Office also assists with the sign-in process for public testimony at City Council meetings. The City Secretary’s Office provides administrative support to the Mayor and City Council. Primary duties include council correspondence, meeting facilitation, maintaining calendars, project coordination with city staff, and organizing and preparing proclamations as directed by the Mayor. 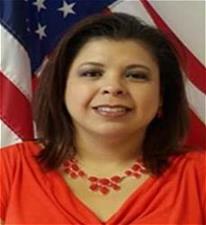 The City Secretary is the Public Information Coordinator for the City of Mathis. This office is responsible for coordinating with city departments and ensuring that all Open Records Request are processed in a timely fashion in accordance with the Texas Public Information Act and city procedures. Appointed and elected officials are required to take training on the state guidelines under the Open Meetings Act. The City Secretary’s Office assists with coordinating Open Meetings Act Training for the board volunteers as required by the Texas Open Meetings Act. The Office of the City Secretary is the administrative agency responsible for the care and maintenance of all City of Mathis records. This office houses all legal transactions, City Council minutes, agendas, deeds, ordinances, resolutions, contracts and a vast array of other historical and regulatory information. The City Secretary is designated as the City’s Records Management Officer by both state law and City ordinance. She is responsible for developing and administering a record retention and destruction policy, monitoring the records storage centers, overseeing the control of electronically stored records, and upgrading technology to provide for efficient and economic storage of records. Upon approval by the City Council, the City Secretary’s Office coordinates the codification of city ordinances. The City Secretary’s Office processes and issues solicitor’s permits for the City of Mathis as well as certifies and administers alcoholic beverage licenses. The City Secretary’s Office assists with questions on how to file a claim with the City of Mathis and receives claim forms for processing. In addition to the duties listed above, the City Secretary: serves as custodian of the City corporate seal and attests the Mayor’s signature on all official documents; records and files deeds and easements; publishes legal ads and notices for the City, receives bids; posts all legal notices and agendas; develops and oversees the City Secretary and City Council Department budgets; and serves as Parliamentarian for the City Council. How can someone be added to the agenda?